My husband and I were married 14 years ago, when I was 21. We had our first baby when I was 28. Looking back I feel incredibly fortunate that between us, my husband and I have kept our relationship together, sometimes joyfully and sometimes clinging by tooth and nail. Marriage isn’t easy at the best of time, without the addition of an unknown, undiagnosed ASC. 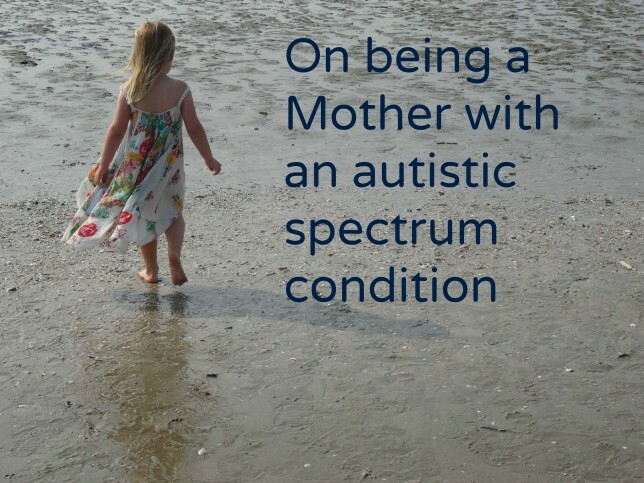 To add to that fortune we have been so blessed with three wonderful children, and today I want to talk about being a mother with an autistic spectrum condition. Pregnancy suited me. I blossomed. I had a good pregnancy with it’s predictable milestones, scans, dates. A set period. I felt in control, and I was joyous. Birth didn’t frighten me because as long as I planned extensively I thought that I could control the nature of the birth. I planned, I took anti natal classes and attended pregnancy yoga. I watched birthing videos. I was going to have a serene water birth, and that was that. Then bam, everything started to slide. I went overdue and needed induction. Which led to a chain of uncontrollable events, finishing with a c-section. After which I had a baby, who cried, and his crying hurt my head, looking back I was in sensory overload before I’d even left the hospital. Babies are loud, and unpredictable. Initially they make planning nigh on impossible. I went under, fast and hard. In fact I ended up in a mother and baby unit, presumed post natal depression. Looking back I was overwhelmed, with sensory issues and the panic of not being able to control my schedule, ever again. I lost it. This happened with the birth of every one of my babies. It got better. Slowly. My babies got into a routine, and I was able to regain control, which helped my anxiety to lesson. They cried less, giving me a chance to get to know them, to enjoy them. I started to love being a mother, and I stopped looking for solutions and started building relationships with them. The early years of mothering are hard for all women. Harder yet for those of us on the autistic spectrum. Babies and toddlers are unpredictable, and noisy. Alongside that you are dealing with new social situations, toddler groups, post natal coffee mornings etc. 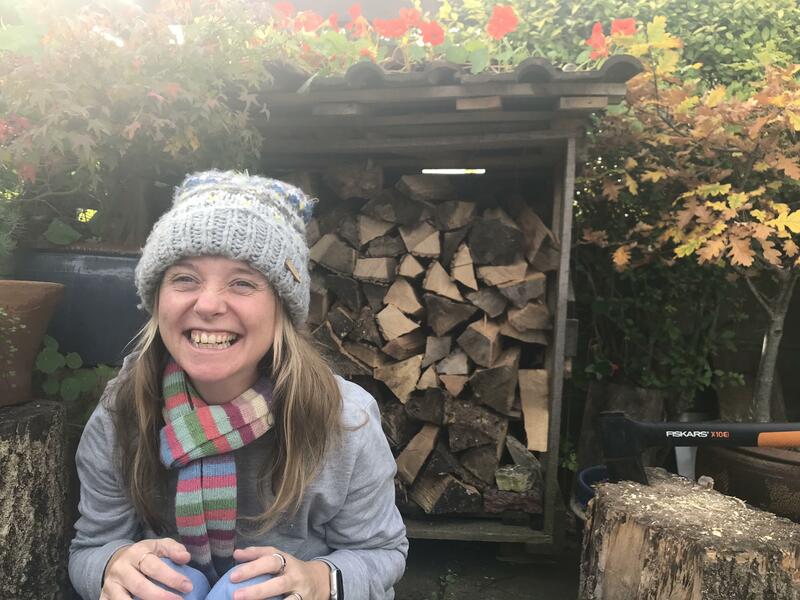 So an autistic woman is expected to understand, and connect with other women, whilst accompanied by a noisy, unpredictable, messy, small person. But, with the right support, she can make a few friends. I did, I have one very good friend who has been around since the birth of our first babies. She doesn’t judge me, she has supported me at tough times, and enjoyed the good times with me. She isn’t afraid to tell me the truth when I need it, and she values the skills I do have often asking for organisational advice. Or knowing that I will have researched child development for any particular stage or phase extensively she is glad of my knowledge. Aim for regular sensory breaks. If you have someone who can watch your little one then go out. I go to the cinema so I can sit in the dark, not talking to anyone, and lose myself. If you can’t get out then darken your bedroom and sit quietly. Plan, plan, plan. Plan your days, plan trips out of the house, plan for the future. I sometimes think I should be more laid back but whenever I try it leads to meltdowns. Planning helps me to feel in control, lessens my anxiety and also minimises unexpected stress. Try to avoid perfectionism. I think it’s hard for autistic women to do anything half heartedly. If we do something, why wouldn’t we do it exactly as it should be done? The trouble is parenting advice varies, and there are a million and one articles on all the ways it can be done wrong. My advice? Don’t read those articles. Let your children watch some TV, you will need the sensory break. Avoid conflict by picking your battles, I think it’s better to be a little too permissive than to push myself to meltdown point by getting into to much conflict with my children. I will talk more about being a mother with autistic spectrum condition, particularly during middle childhood in another blog. For now I’ll end by saying that mothering has been the most challenging, rewarding, spectacular thing that I have ever done. I’m so grateful that I’ve been given the opportunity to be a mother.